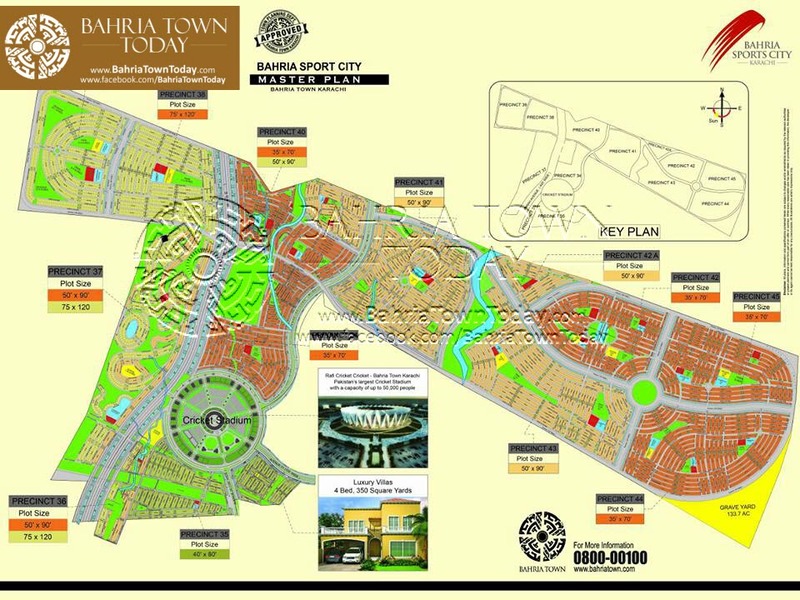 Get Bahria Sports City Karachi Latest News on Your WhatsApp! I got the plot # of BTK Sports City by sending form reference # to BTK. you can also try this. check your 3rd installment letter for payment, your plot number & location already printed on it, that means balloting already done and advised in the letter. 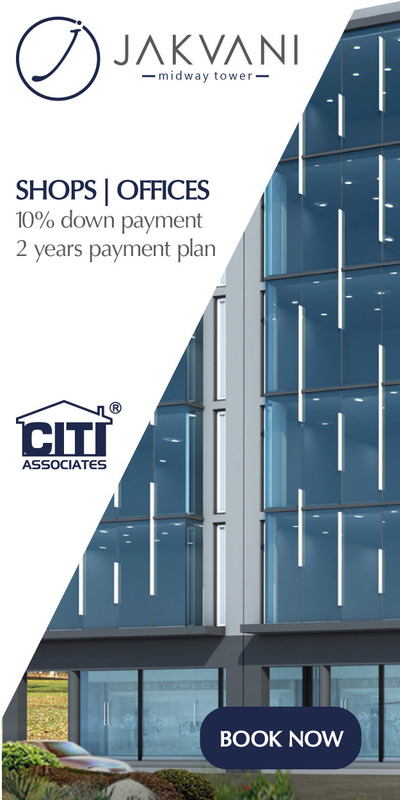 what about the p33 plan? This map is not clear.Can you provide in 3D a soft copy.It will be your kindness. @Khalid, balloting already done. If you’ve paid all your due installments then you must have got your plot number. By the way this Master Plan is not clear enough to know about the exact location our plots. Why this layout does not have 250 yard plots ?? and what is this 70 yards plot in orange boxes? the image is not clear at all. this is the high quality work you are doing? Precent 32 ka map ki koi update? I have Paid all my installemnt and from the last 3 week i am chasing balloting results but couldnt see any reply. I have found Bahria worst in customer service. What happened with Precincts 32 and 33? Can anyone explain please? I want to know that when Bahria will issue the allotting the plots? Till now i paid already three installments in Bahria and still i am waiting to get the Plot Number. Can you share with me that when and how much the approximate time will take Bahria to issue the Plot numbers to his members who already paying and waiting? Looking forward your prompt reply on my giving mail address. 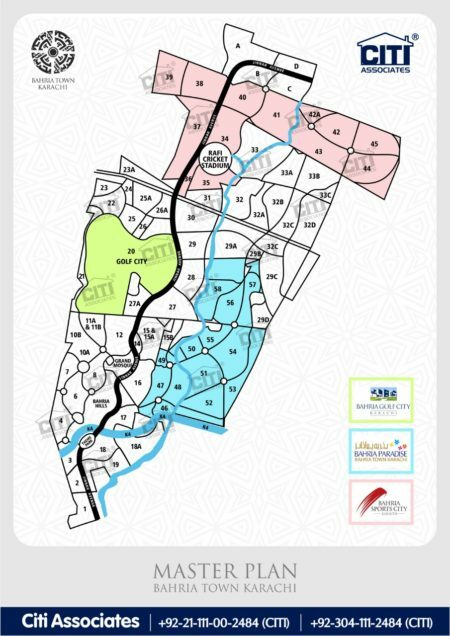 Also waiting for the map of Precent 25 A and 26 A.also wants to know about the next Balloting of old Bahria Town Karachi. I have 1 plot precinct 34 pNo 18 stretch no 10. I want to sale this property. Kindly get back to me with some goof offers. Want to buy 3 beds 2+ bath rooms. What’s the procrdure?